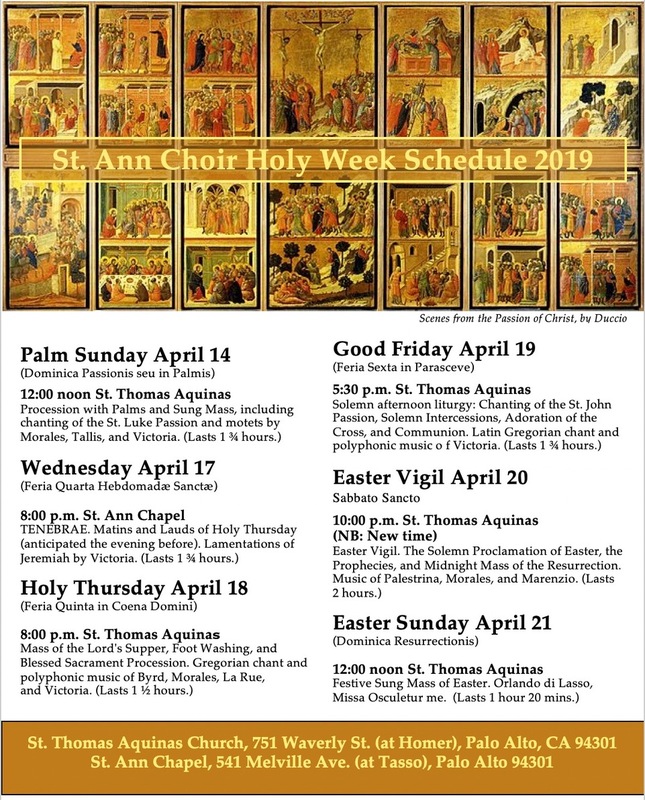 The St Ann Choir invites everyone in the area of Palo Alto, California, to the sacred rites of Holy Week, sung in Gregorian chant and polyphonic music of the Renaissance. The principal services will be celebrated at the regular church, St Thomas Aquinas, located at 751 Waverley (at Homer); services of the Divine Office – the extraordinary service of Tenebrae of Holy Thursday on Wednesday evening, and Vespers on the Sundays at 6:15 p.m. – will continue at St Ann Chapel, 541 Melville (at Tasso). See the poster below for the schedule. 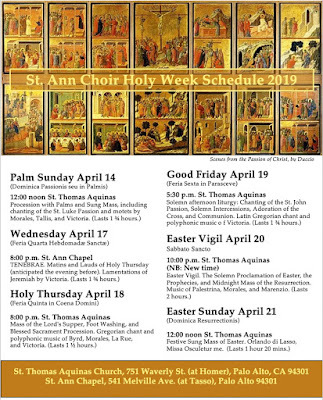 The Mass continues in the new rite (ordinary form), mostly sung in Latin; the Mass of Easter Sunday will be celebrated with the choir’s most festive music. For more information, see the website www.stannchoir.org or call 650-493-7933.